The Eden Resort & Suites deserves its recognition as a “premier” hotel. Everything about this Lancaster hotel is top-notch, from its accommodations and banquet facilities to its customer service. Whether you are coming to Lancaster for business or pleasure, you will enjoy staying at the Eden. 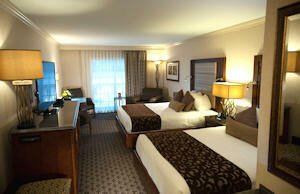 Eden offers its guests a variety of room styles to meet their guests’ individual preferences. Their guestrooms are spacious and include many amenities to make their stay here comfortable and enjoyable (see the list below). 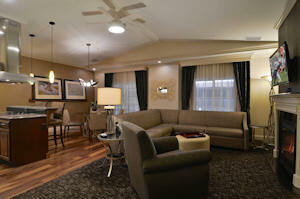 The Eden also offers a variety of suite configurations for their guests. Their main building includes Two-Room King Suites and Two-Bedroom Queen Suites. These include over 500 square feet of comfort. They also offer two-story townhouse-like villa suites. These units are fully furnished and include multiple bedrooms, a fully equipped kitchen, a living room with a wood-burning fireplace, and more. These units are 600-1,300 square feet in size. Plus, they have one-bedroom and two-bedroom Penthouse Suites available. Garfield’s offers a casual, family-friendly atmosphere. Arthur’s Terrace offers fine dining and their popular Prime Rib Buffet in a casual atmosphere. The Encore Lounge offers light fare dining and a full range of wines, beers, and cocktails. The Eden’s popular Champagne Sunday Brunch is served in their beautiful courtyard and has been repeatedly voted one of the nicest Sunday brunch offerings of all Lancaster County restaurants. The meeting and banquet facilities at the Eden Resort are among the most popular of all Lancaster Hotels. They have 13 different sized banquet rooms than can accommodate smaller, intimate groups as well are larger ballrooms that can accommodate large banquets and wedding receptions of up to 600. 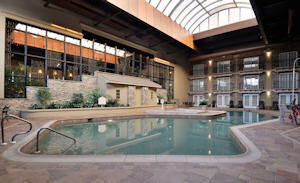 This hotel is centrally located just off the Route 30 bypass in suburban Lancaster, 3.6 miles from downtown Lancaster. 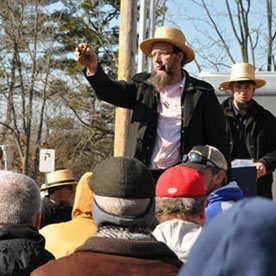 In a matter of minutes you can be in the Amish Country, enjoy Lancaster’s many outlet stores, or take in local attractions, theaters, and special events. Whether you’re in town for business or pleasure, you’ll find the Eden to be one of the nicest hotels in Lancaster County. The Eden Resort & Suites is just one of many Lancaster PA hotels. There are also other hotels in the suburban Lancaster area. Looking for something to do? Hours of fun with bumper cars, ropes course, laser tag, mini-bowling, arcade, café and more! Climate controlled with free parking, we’re just a few minutes from Lancaster city. 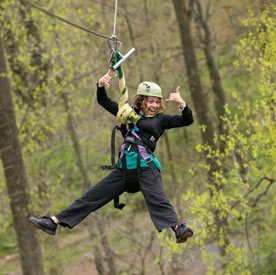 Use our money-saving passes or pay for each attraction. Please visit our website for more information.